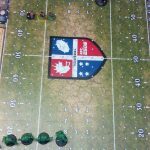 I entered the Blood Bowl tournament at my FLGS (friendly local game store) and played my first EVER game of Blood Bowl. 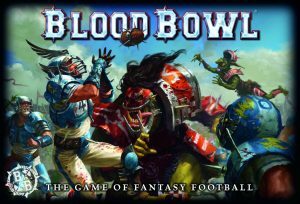 BloodBowl – Click to buy game. 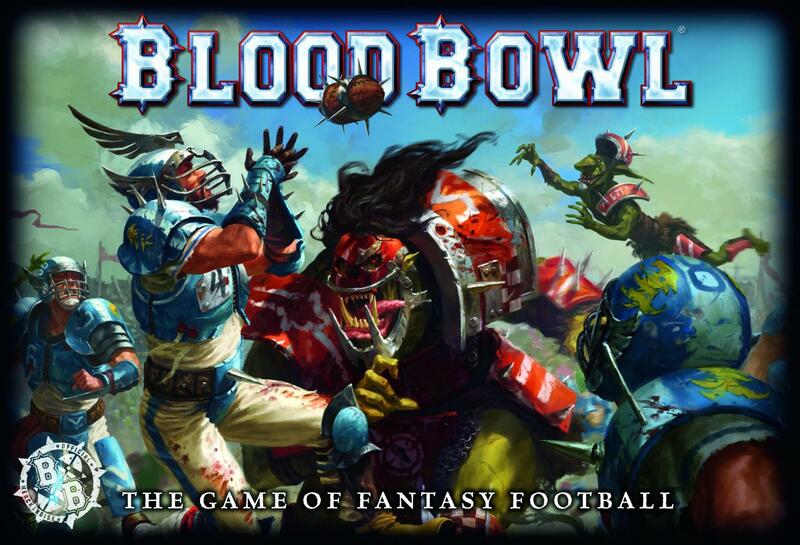 Yes Blood Bowl has been around 30 years and I have friends that used to play it in the early 1990s, but I was always much more of a Warhammer Fantasy Battle guy. 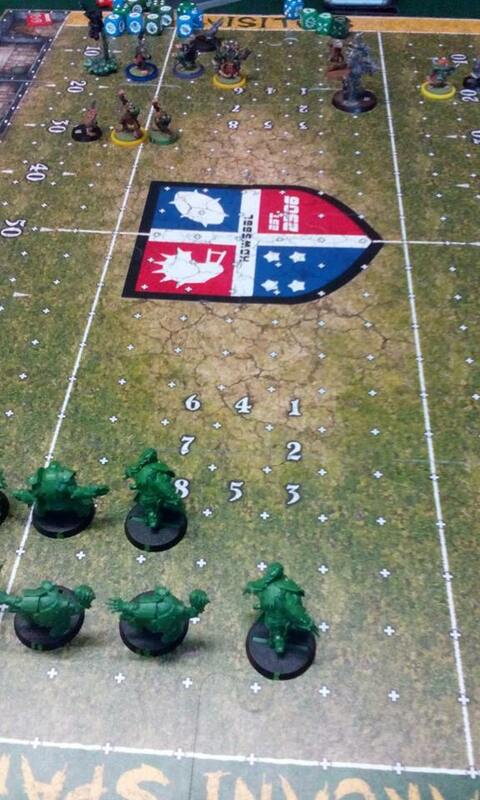 The fusion of American Football and Fantasy Battle always had it’s appeal though. As the game was officially re released last week and I have been following some of the buzz of the game. I decided to give it a go. Not in a small way either. I have entered the local league. 16 games to be played over 8 weeks. Guess how I did on my first ever game. You guessed it, lost. But was a sterling effort. 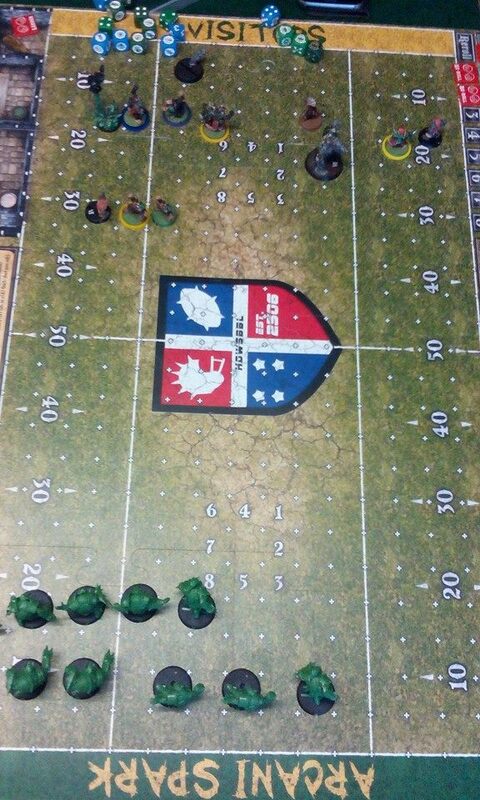 I was playing Ricky, a veteran of the game, who’s painted army and custom board gave me the hint he was quite into the game. I was playing Orcs (unpainted from the shop copy, I was not going to invest until I had the hang of the game). He did teach me to play and did help out a bit. End of second half the score sat at 3 touchdowns to 2. The casualty rate was fairly low, 2 skaven to one orc. I am slowly getting the hang of things, but sure I will get beaten on the rest of my games. Will be just a case of seeing how many I can take down with me. I will make some extra notes of how I get on. Hopefully I will also take some better pictures also. So for next time I need all the luck I can get! An extra quick note. 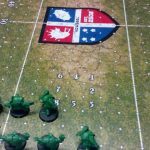 I am using Little Army Builder‘s Blood Bowl team sheet generator.